Influenced by the likes of Oscar Peterson, Chick Corea and the Yellow Jackets, Rick presents an eclectic array of original compositions especially arranged for saxophone quartet and rhythm section. Featuring the pick of local talent, expect an evening of exciting swing, funk and Latin fusion. Rhythm: Ian Halford, Rick Laughlin. 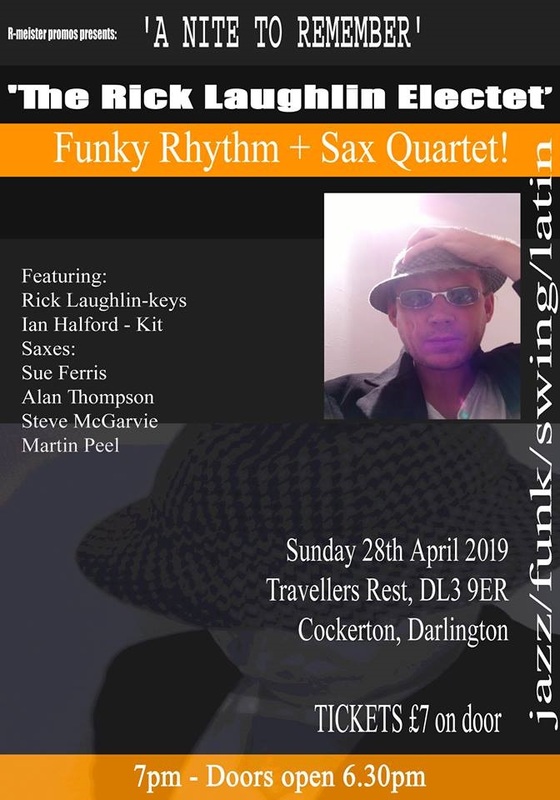 Travellers Rest, Cockerton, Darlington, DL3 9ER.